We currently provide full fire safety management packages to a number of HMO properties in the Plymouth area. This includes a full fire risk assessment, fire fighting equipment, regulat monthly fire safety inspections and monthly fire alarm testing in line with LACORS and BS5839 part 6. 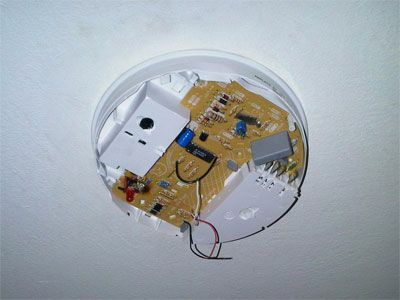 We also manage the annual and 6 monthly fire alarm and emergency lighting tests that are also a legal requirement. The picture on the right shows a damaged heat detector that was deliberately tampered with by a tennant. This is one of many faults found in the propertys we reguarly inspect, over the last year.